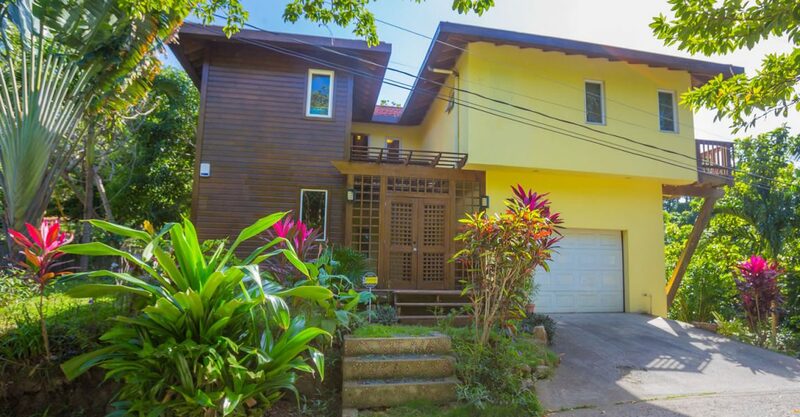 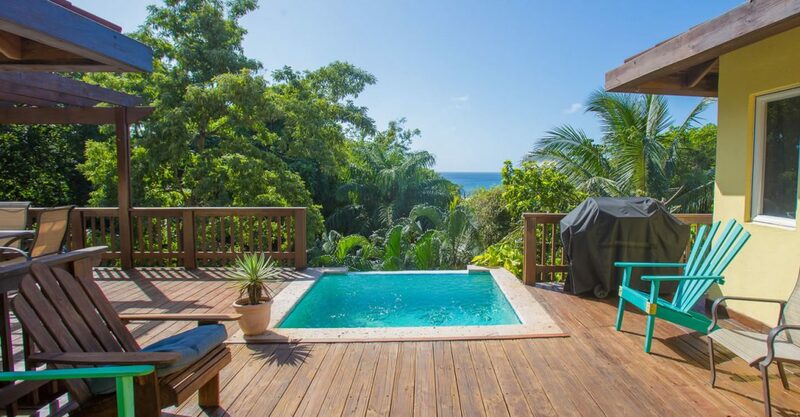 5 bedroom home for sale in Roatan situated on Tamarind Drive between West End Village and West Bay Beach offering views out to sea. 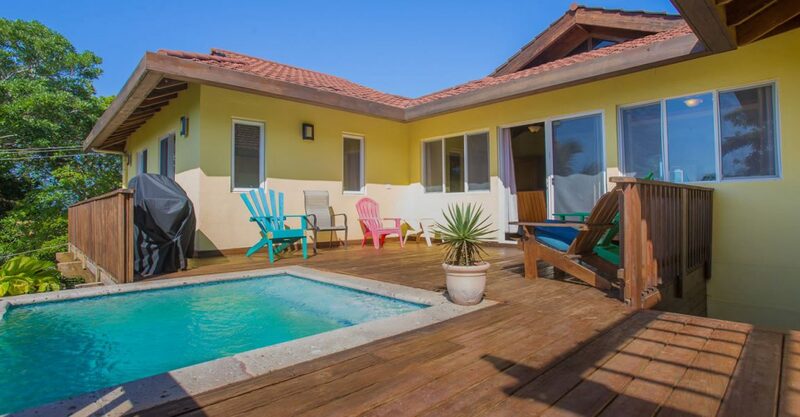 This home is the perfect island get away. 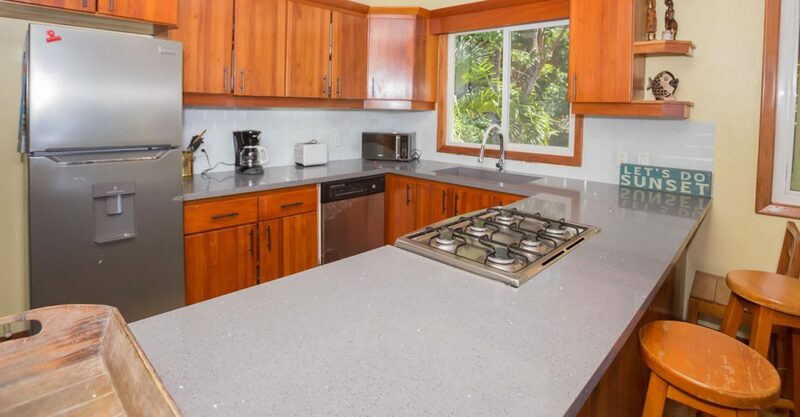 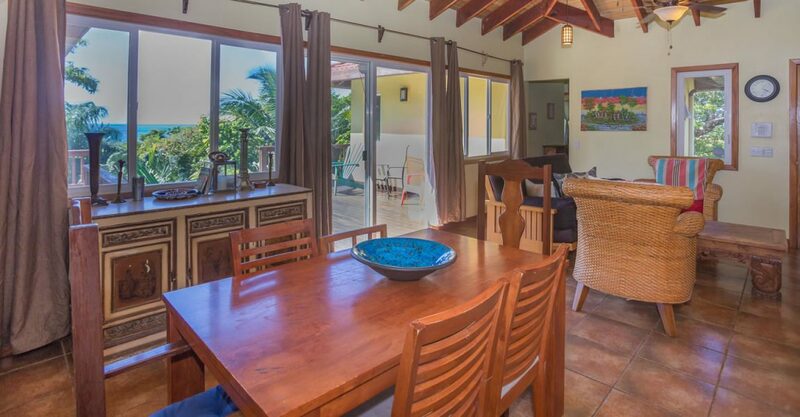 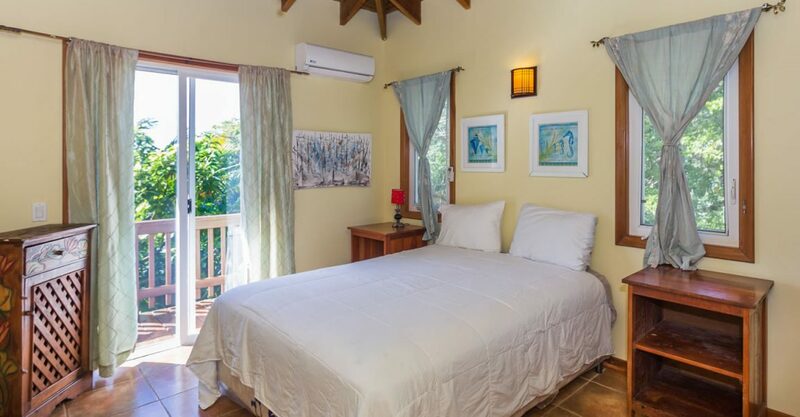 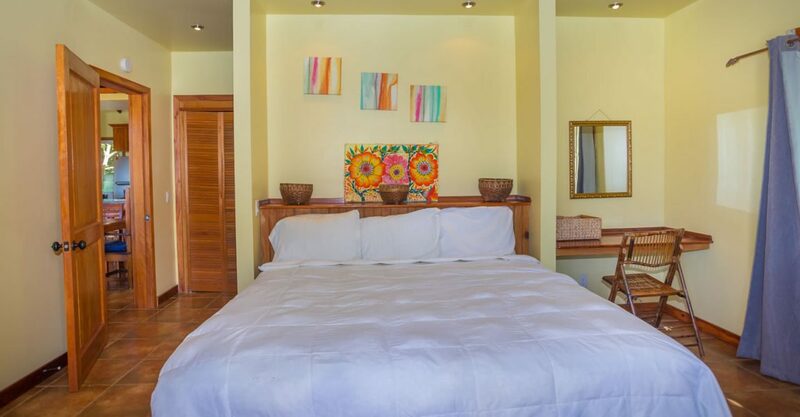 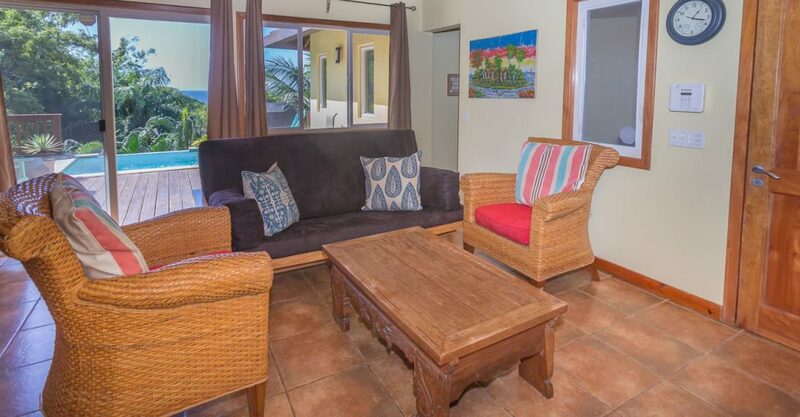 Set on Tamarind Drive just steps from West Bay Beach – one of the most beautiful beaches not only in Roatan but in the entire Caribbean – the home offers views of lush tropical greenery and out to sea. 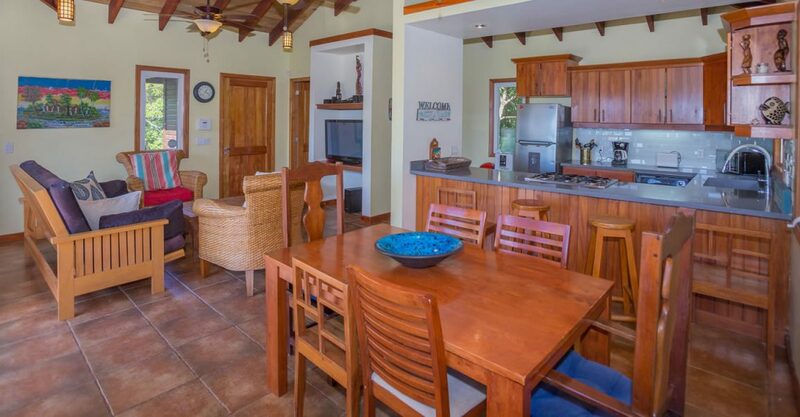 Well designed by an island architect, the interior features an open concept floor plan with living, dining and kitchen with glass doors providing views of the sea. 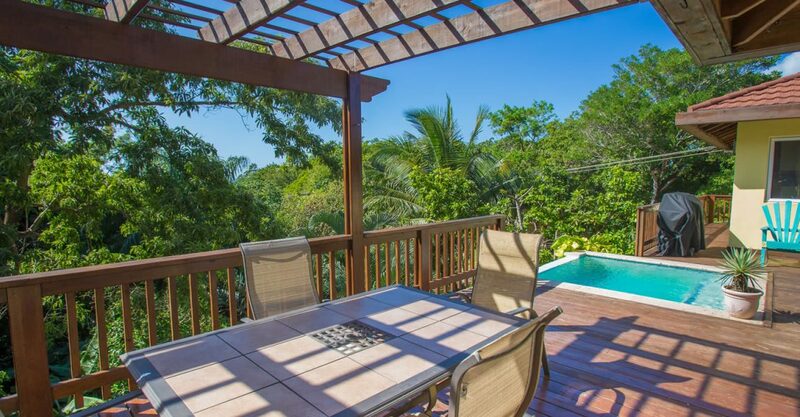 The doors open on to a deck and pool area. 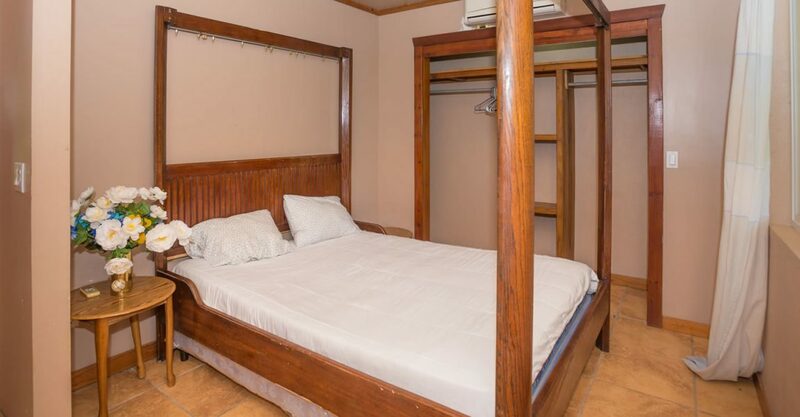 There are 5 good sized bedroom and 3.5 bathrooms. 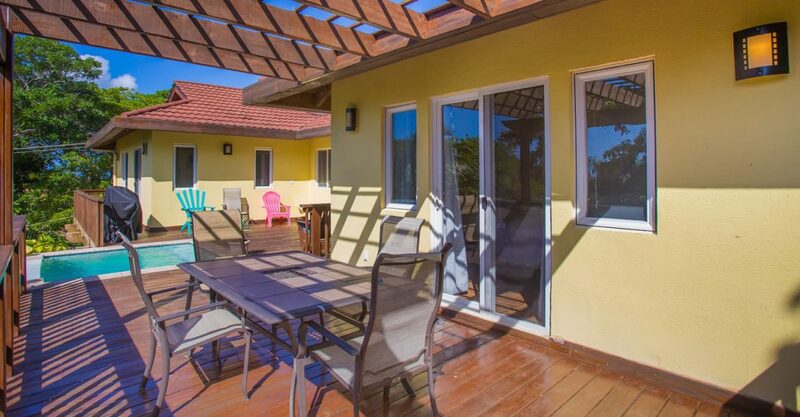 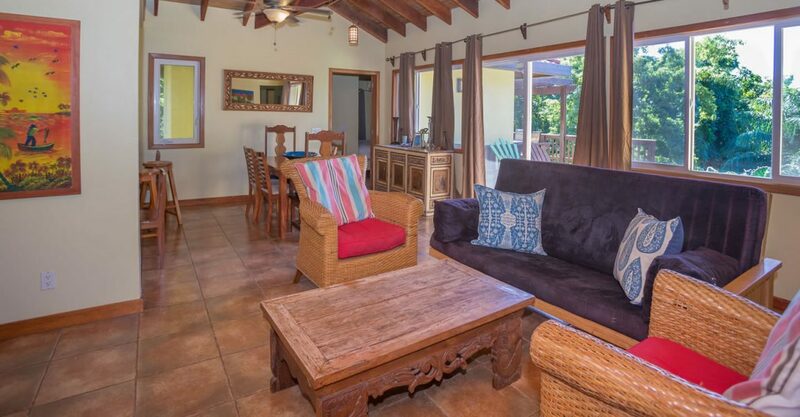 Homes for sale in Roatan are often snapped up in order to be used not only as a vacation home but also to be offered as an income-generating vacation rental property. 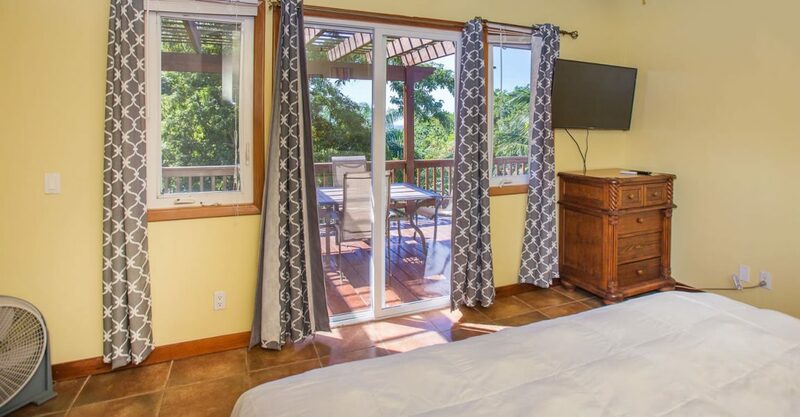 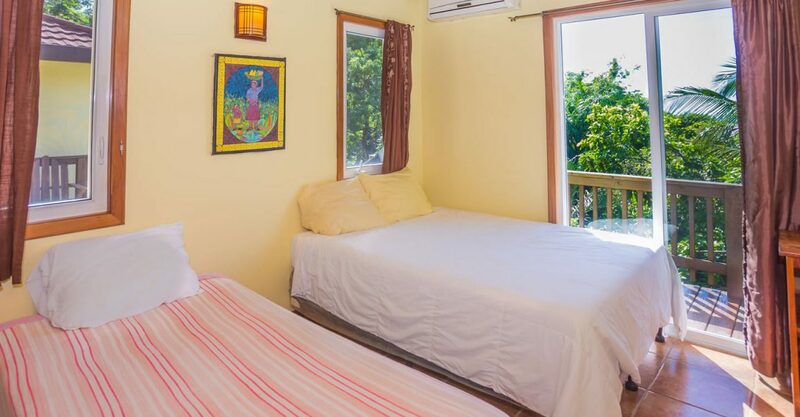 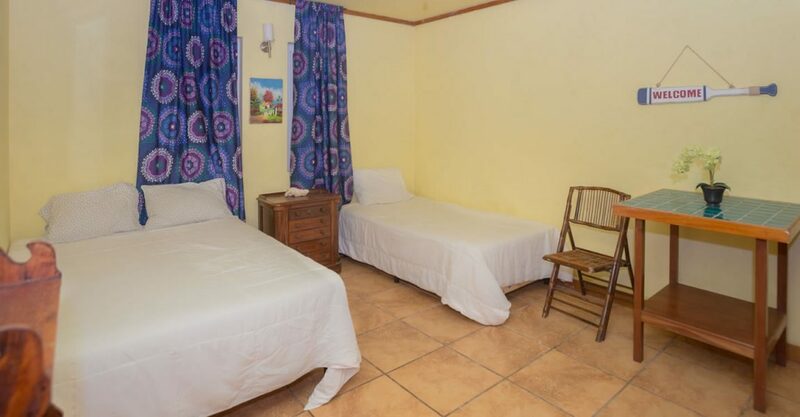 Thanks to its location and configuration, this property is a case in point – the lower bedrooms can be rented out separately. 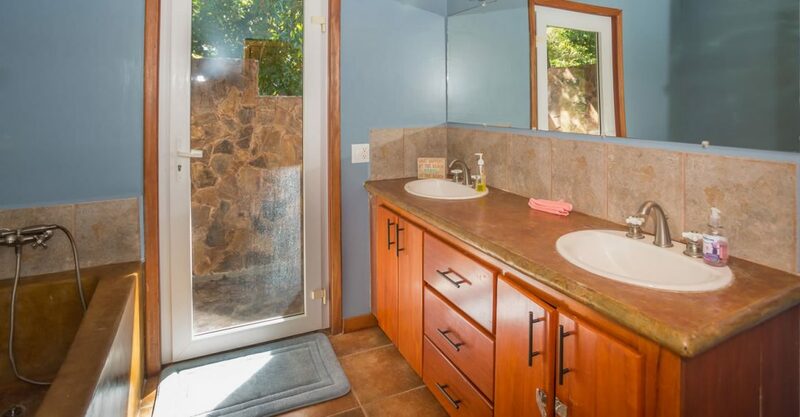 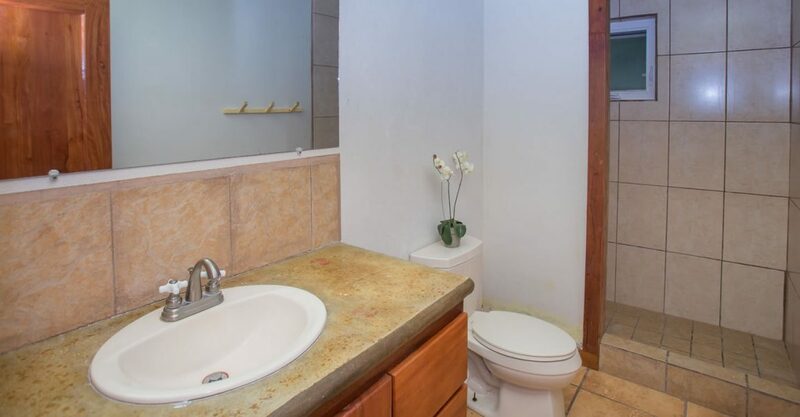 Another bonus – This property has no HOA fees and its own private well. 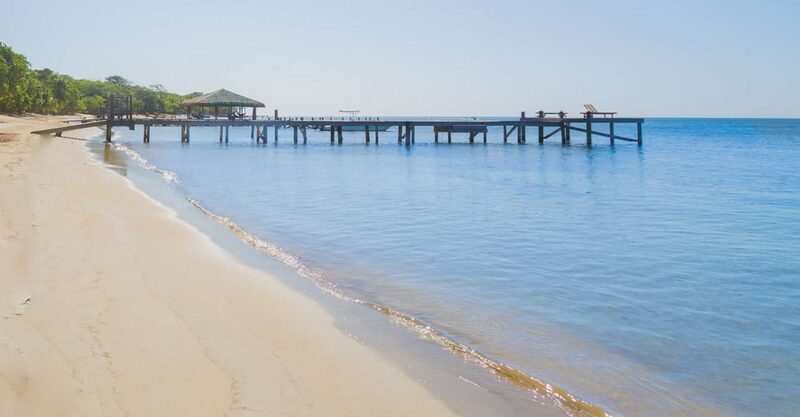 Ideally located half way between West End Village and West Bay Beach, the beach, shops and restaurants are all practically on your doorstep.